does anyone know more about this? will it be a smart coffea shop or more like a caf ? Looks like it’s getting very close to opening from working past it a few times at the weekend - just thought would let people know might be worth giving the new kid on the block a try/showing a new opening some love! This coffee shop is now OPEN! Please support this new business if you can. Heard a pleasant first little review of yummy falafel and hummus and very friendly owners! Yes good luck to them. Will try and use it this week. Just had an absolutely delicious lunch at Ziggys and they are such lovely owners. Go try it out people. We are heading there tomorrow! Walked past Zigghy's today, but there was no indication outside it about what they actually served. Is it a sandwich bar or what? We went last week (I assume it’ll be closed until after this Christmas/new year period) and the menu is a mix of Mediterranean food (I had a yummy med breakfast - spicy Turkish sausage, halloumi, hummus, bread, jam, olives, fried egg), classic breakfast foods (my wife had a delicious eggs royale with perfect poached eggs and a lot of smoked salmon), bagels, sandwiches, kids meals and your typical coffees/drinks. Lovely folks from our visit and they seed genuinely pleased that people had chosen to visit during their first week of opening before Christmas. JMLF wrote: We went last week (I assume it’ll be closed until after this Christmas/new year period) and the menu is a mix of Mediterranean food (I had a yummy med breakfast - spicy Turkish sausage, halloumi, hummus, bread, jam, olives, fried egg), classic breakfast foods (my wife had a delicious eggs royale with perfect poached eggs and a lot of smoked salmon), bagels, sandwiches, kids meals and your typical coffees/drinks. Went to try this today for coffee and cake. Flat white was not a flat white but a coffee with froth on top. Pot of Tea has one bag in it, you need two for a pot otherwise you're just getting weaker tea for more money. Cakes were plastic wrapped bought cakes nothing freshly made. Can't comment on food as didn't try anything. Menus printed on A4 paper badly laid out and designed. Can't decide on its branding. Sadly this place needs to up its game to attract and keep my custom. I hope it can improve. Friendly staff though. sydenhamboy, you don't mention pricing. Would you say it's reasonable for what's offered? From what you say, it doesn't seem to be aimed at high-end customers with concomitant loaded pricing. I'm not sure what you mean by "suitable" in this context, but if you mean a fair price, yes I think it is. It would be more in most similar places, in my experience. More important - did they taste good? sydenhamboy, in my view, it might be that things have to cost that much to cover overheads, especially rent & rates, but I can't see me queuing outside, or mums/dads with kids, at £3.55 per head for a basic cup of tea/coffee and slice of cake. Maybe the food, which you say you didn't try, offers better value. I do wish zigghy luck, but I think they might need a lot of it. Perhaps someone else has been who'd tell us more that might encourage locals to go? It does have the advantage of being a stone's throw from a free car park, e.g. for a snack after shopping at Lidl, so maybe they sell super duper sausage rolls or pasties or wraps or decent pie or quiche and chips? Mosy - i visit at least two country cafes a week. The standard price for cake is £2.95 and tea about £1.60. 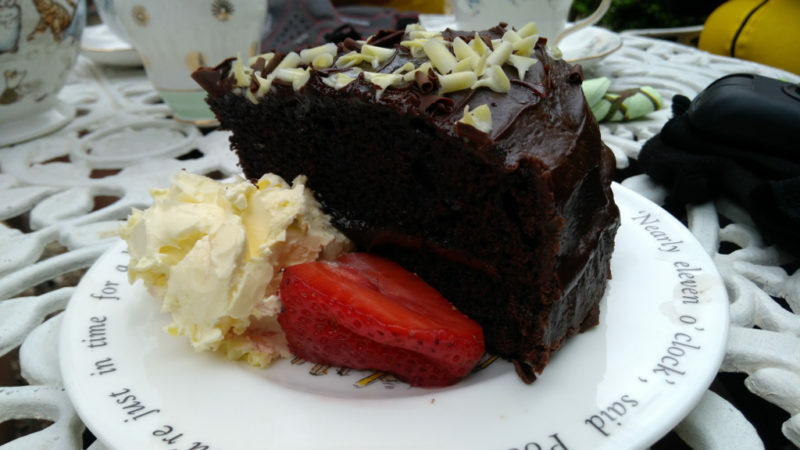 National Trust Cafes offer less appealing cake and no change from a fiver. So Ziggies is not unreasonable on price as long if they can deliver on quality and quantity.